Good morning! 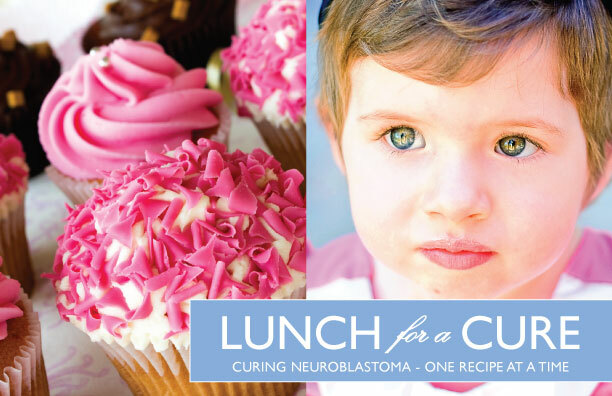 After scouring through roughly 160 pictures, we have finally selected a child with neuroblastoma to grace the cover of this year's Lunch for a Cure cookbook. It was not easy. In fact, it was so not easy that we actually select two pictures for two separate covers for the cookbook. Yes, you heard me. 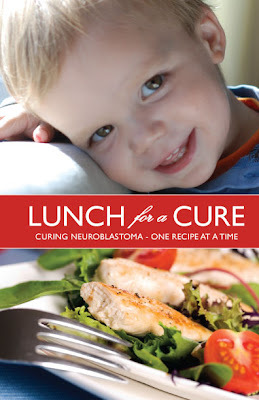 There are two covers to the cookbook - Team Xander and Team Reese. Furthermore, for even more fun, one is a vertical cover and the other was a horizontal cover. I am also ecstatic to say that, for everyone else, we selected the best picture of each child from each entry and have created a collage to grace the back cover. This way, everyone gets to be a star and appear on the outside of what we are sure will be the most coveted cookbook of the year. So, with no further delay, here is a sneak peek at this year's cookbook covers which are already being spit out of the presses. Incredible, aren't they? I know. I know. I would take full credit for the work but it is obviously the cuteness of the kiddos that pulls them off. Buy one for yourself. Get them for your friends at Christmas. Give them to everyone. This purpose will help a bunch of kids with neuroblastoma savor life to the fullest.